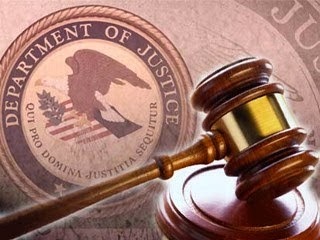 WASHINGTON—An Army sergeant pleaded guilty today to bribery and conspiracy to defraud the government for his role in a scheme to steal more than one million gallons of fuel from the U.S. military for resale on the black market in Afghanistan. Assistant Attorney General Leslie R. Caldwell of the Justice Department’s Criminal Division, U.S. Attorney Thomas G. Walker of the Eastern District of North Carolina, Special Agent in Charge John F. Khin of the Defense Criminal Investigative Service (DCIS) Southeast Field Office, Special Agent in Charge John A. Strong of the FBI’s Charlotte Division, Director Frank Robey of the U.S. Army Criminal Investigation Command (CID) Major Procurement Fraud Unit (MPFU) and Special Inspector General for Afghanistan Reconstruction John F. Sopko made the announcement. Christopher Ciampa, 32, of Lillington, North Carolina, entered his guilty plea before U.S. District Court Judge Terrence W. Boyle of the Eastern District of North Carolina. The sentencing hearing was scheduled for the week of December 15, 2014. According to his plea agreement, Ciampa was deployed to Afghanistan with the 3rd Special Forces Group Service Detachment and was assigned to Camp Brown at Kandahar Air Field between February 2011 and January 2012. During the deployment, one of Ciampa’s chief responsibilities was management of the Transportation Movement Requests (TMRs) for fuel and other items in support of military units in Afghanistan paid for by the U.S. government. Over the course of the conspiracy, Ciampa and others created and submitted false TMRs for the purchase of thousands of gallons of fuel that were neither necessary nor used by military units. Instead, Ciampa and his co-conspirators stole the fuel and resold it on the black market in neighboring towns. Between February 2011 and December 2011, they created false TMRs for 114 large fuel tanker trucks, which could each carry approximately 10,000 gallons of fuel. All of the TMRs were awarded to a single Afghan trucking company, despite significantly higher rates charged by this company. As a result of the criminal conduct, the United States suffered a total loss of $10,812,000. The loss resulted from stolen fuel and payments on the fraudulent TMRs in the following amounts: $9,120,000 in lost fuel and $1,692,000 in fraudulent TMRs for the 114 large tanker trucks. Ciampa admitted that he and his co-conspirators sent some of the illicit proceeds back to the United States via wire transfer and carried some of the cash in their luggage, and Ciampa hid $180,000 of stolen funds inside stereo equipment that he shipped back to North Carolina with his unit’s gear. He used his share of the proceeds from the scheme to purchase a truck and other personal items. The case was investigated by DCIS, FBI, CID MPFU and the Special Inspector General for Afghanistan Reconstruction (SIGAR). The case is being prosecuted by Trial Attorney Wade Weems on detail to the Criminal Division’s Fraud Section from SIGAR and Assistant U.S. Attorney Banumathi Rangarajan of the Eastern District of North Carolina.